Scanning electron micrograph of the head of a fruit fly ( Drosophila melanogaster ). of interest (the giant chromosomes of the fruit fly Drosophila melanogaster ), or ability to closely model some aspect of human biology (the mammalian genome and complex brain of the mouse). Most model organisms combine many if not all of these characteristics. Escherichia coli bacteria provide an especially important model for studies of gene regulation. Yeast ( Saccharomyces cerevisiae ) are used for a wide variety of studies in eukaryotic chromosome structure and gene regulation, as well as virtually every aspect of cell function, including the control of the cell cycle and signal transduction . The slime mold Dictyostelium discoideum is used to study cell motility and other aspects of cell function, especially those with applications to cancer. C. elegans has provided a window on the fate of individual cells during development, as each cell can be followed as it is formed, takes its place, and begins to function. Drosophila is central in the study of chromosomes and molecular aspects of development, especially development of the nervous system. Zebrafish and the frog Xenopus laevis are used most often to study vertebrate development. Arabidopsis is the major model of plant cell biology and genetics. Finally, cultures of human cells are often used to examine response to drugs, effects of genetic mutations, and other aspects of health and disease. The genomes of each of these organisms are either fully sequenced or soon will be, allowing further investigation of the links between gene expression and cell function. This will make these models even more valuable, and also allow investigation of fundamental questions about the similarities and differences among all types of organisms. The WWW Virtual Library: Model Organisms. <http://ceolas.org/VL/mo/> . German biologist who won the Nobel Prize in medicine in 1995 with Edward Lewis and Eric Wieschaus. In her lab, she and Wieschaus studied how genes affect the way a fly egg turns into an adult fly. 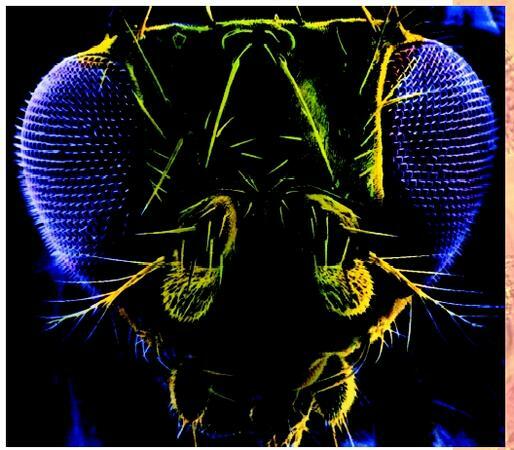 They found that specific gene mutations cause specific defects in the number of wings, antennae, or legs of fruit flies. Many of these mutations turned out to be mutations in "regulatory genes," genes that control other genes.